Like the cars made by the same firm in Coventry, Rover produced excellent quality motorcycles to rather conservative designs. Production began in 1914 with a 700cc model and a gearbox was added to this in 1918, the year when car making began. 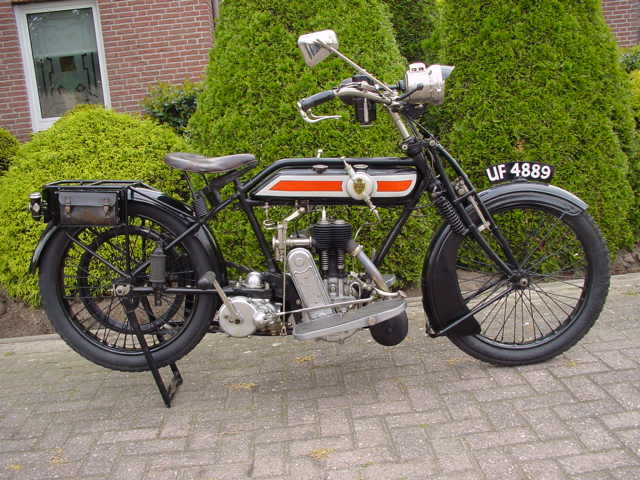 In 1924 a revolutionary new concept was introduced - the unit construction of engine and gearbox on a new 250cc motorcycle. However, this put off DIY motorcyclists and falling sales made Rover abandon motorcycles for cars. 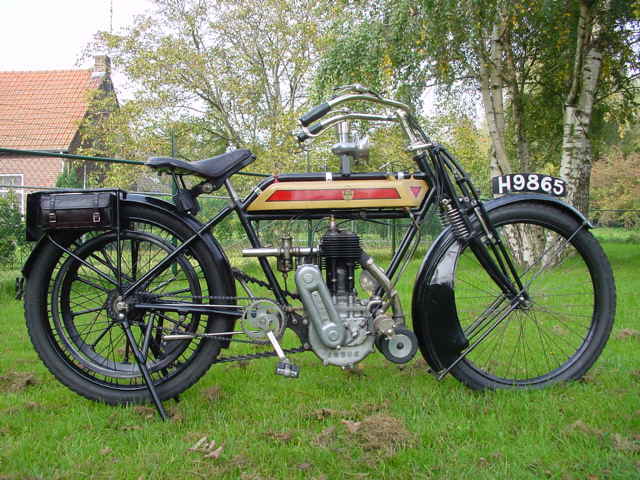 1912 Rover 3-speed, 500cc Rover first entered the motorcycle market in 1903. By then the firm had already established a fine reputation for its bicycles. The first motorcycle model had such novel features as spray carburettor, bottom-bracket engine and mechanically operated valves. 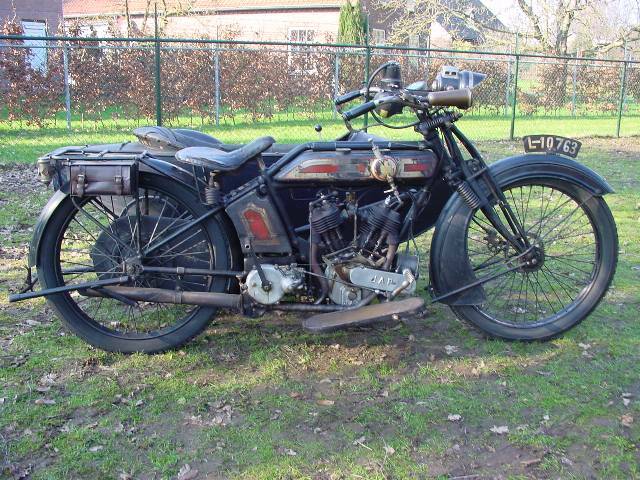 This 1912 model is equipped with 3-speed Sturmey Archer hub gear and foot operated clutch. 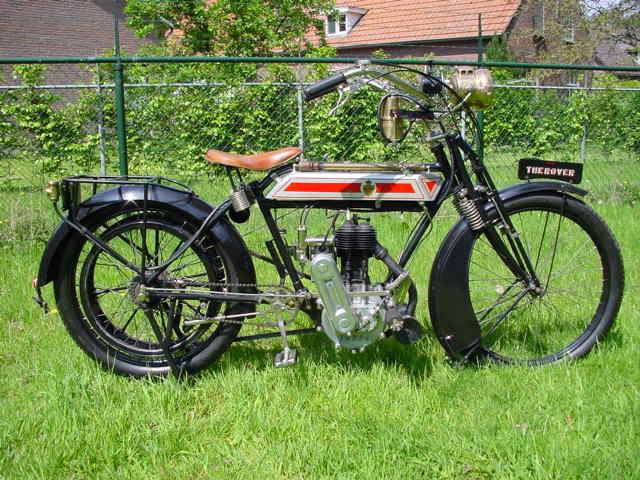 1913 Rover TT Model, 499cc The Rover safety bicycle had created a breakthrough in bicycle design at the end of the 19th century. 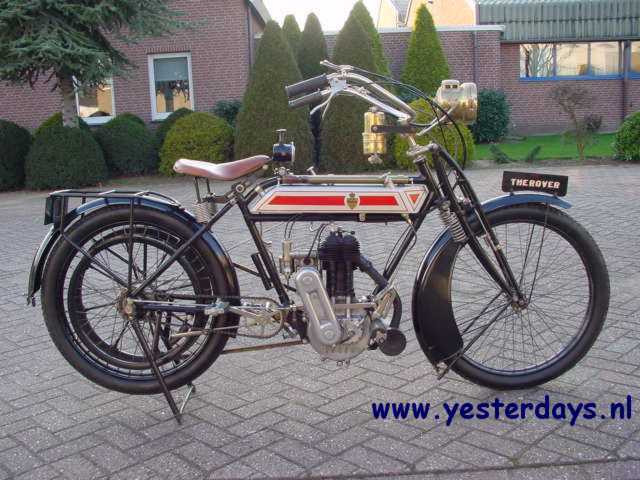 At the end of 1903 the company presented its first motorcycle, which was much ahead of its time: a well- designed side valve engine with mechanically operated valves, spray carburettor, strong frame with double front down tubes and excellent finish. It created a lot of interest and a thousand or so were sold in 1904. 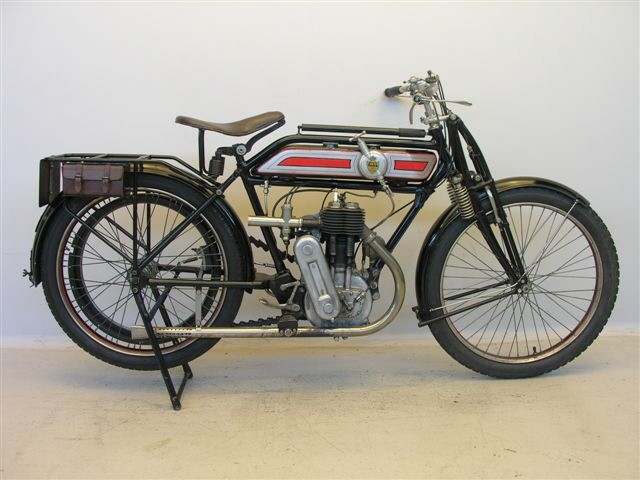 However, in 1905 a serious slump in motorcycle sales started because public confidence in the motorcycle had waned considerably due to the marketing of many inferior and badly engineered models. Rover didn't want to risk its good name and stopped motorcycle production entirely, to concentrate on the bicycle business. 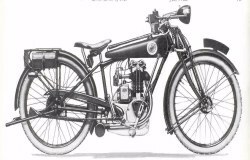 In 1910 the motorcycle's future seemed rosy again and designer John Greenwood (later of Sunbeam fame) was commissioned to draw up a new engine. The 85x88 engine had spring loaded tappets. The Bosch magneto was placed high and dry behind the cylinder barrel and it was driven by a silent inverted tooth chain. Carburettor was by Brown & Barlow and Druid spring forks were fitted. The new model appeared at the Olympia show at the end of 1910. Some 500 machines of the 1910/1911 type were sold and in the 1912 model hardly any changes were made, proving the initial design had been good. 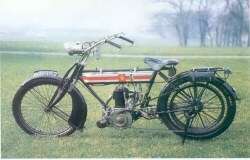 For the 1913 range a TT model with a three inch shorter wheelbase and sports handlebars was catalogued. This machine is well restored and equipped with a Philipson Patent variable pulley that can be operated by a lever on the handlebars.